In order to protect your Gold Coast home or property from damages caused by surges or voltage spikes, then you need to install or upgrade your electrical system to include surge arrestors. Surges can occur during events such as lighting, electrical faults in the main power lines, branches falling onto power lines, etc. 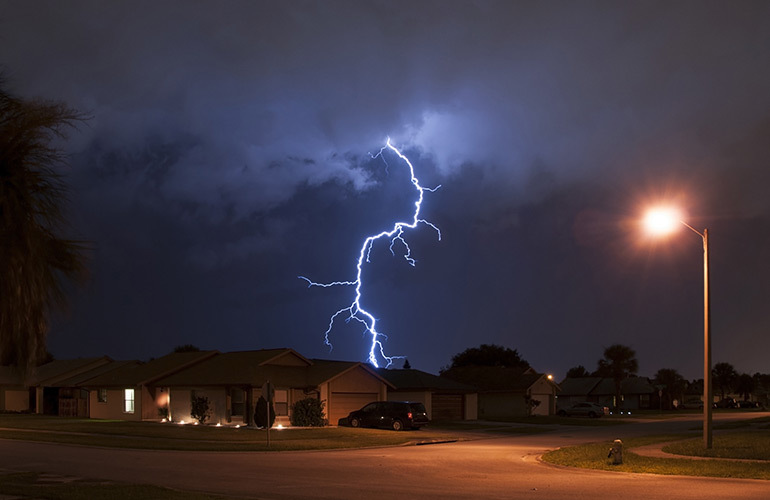 If you want to keep your Gold Coast property safe from damages caused by lightning storms or power faults, then you need to ensure a professional electrician has installed surge arrestors into your wiring system. A surge arrestor is designed to reduce over-voltages and minimise the damage to your home and appliances. Sparkies Electrical Contracting Services can assess your wiring and electrical systems and expertly install surge arrestors where needed. To have surge arrestors installed in your Gold Coast home or property, Contact Us today.